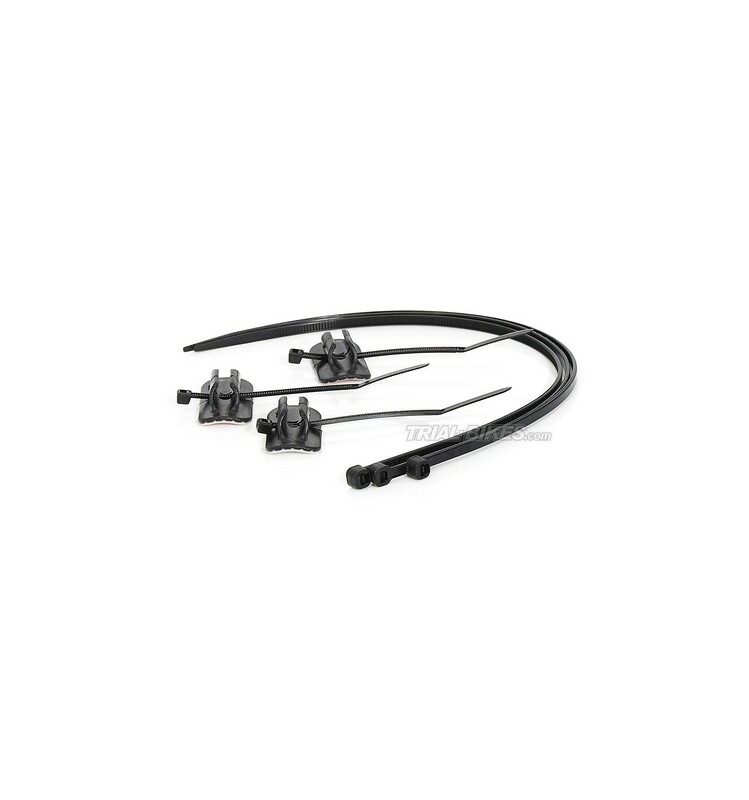 - Plastic hose/tube guide for all rim or disc brake hoses. - Back support is made from auto-adhesive 3M aluminium, which stays fixed to the frame and/or fork. - Suitable for up-to-5mm hoses/tubes. - Very easy assembly, and also includes an instructions manual. 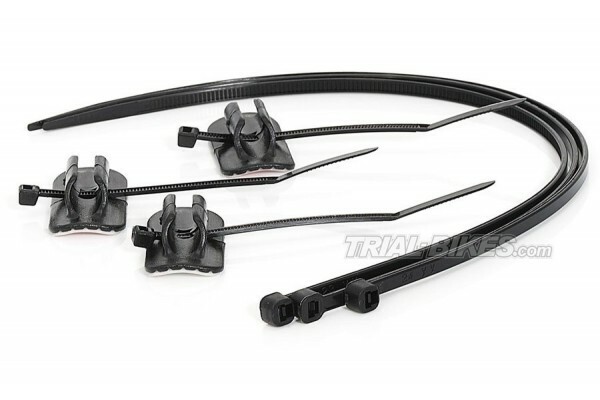 - Supplied as a 3-unit kit, with 6 plastic braces to ensure a perfect grip.